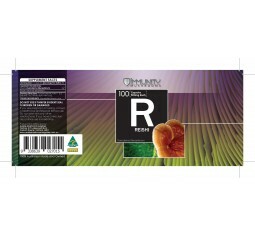 Native to the Otways in Victoria and Tasmania Hericium Coralloides 100 pack of 500mg capsules Australian made and grownTake 2 capsules 1-3 times per day50 servings per packet Australian mushrooms are some of the most potent mushrooms in the world and every year more studies are being done .. 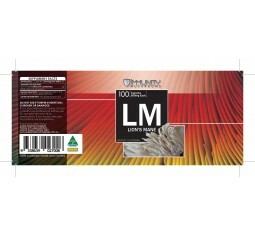 Native to Queensland and Tasmania Ganoderma Steyaertanum100% Australian Made and grown hot water extracted and freeze-dried 100 pack of 500mg capsules Australian made and grown Take 2 capsules 1-3 times per day50 servings per packet Australian mushrooms are some of the most potent mushrooms in the world and every year more study's are being done on their benefits.. 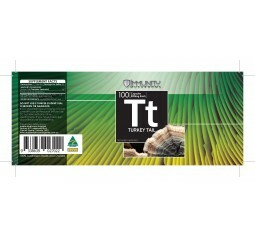 Native to Australia and worldwide, Turkey Tail - Trametes Versicolor100% Australian Made and grown hot water extracted and freeze-dried 100 pack of 500mg capsules Australian made and grown Take 2 capsules 1-3 times per day50 servings per packet Australian mushrooms are some of the most potent mushrooms in the world and every year more study's are being done on their benefits..
Great for making smoothies and boost your daily coffee Serving Size: 1/2 teaspoon or 1 gramServings per Pouch: 50 / 100 / 500Lion's Mane Mushroom Extract Hericium Erinaceus..
Great for making smoothies and boost your daily coffee Serving Size: 1/2 teaspoon or 1 gramServings per Pouch: 50 / 100 / 500Reishi Mushroom Extract (Ganoderma lucidum) ..
Great for making smoothies and boost your daily coffee Serving Size: 1/2 teaspoon or 1 gramServings per Pouch: 50 / 100 / 500Cordyceps Mushroom Extract (Cordyceps militaris)..
Great for making smoothies and boost your daily coffee Serving Size: 1/2 teaspoon or 1 gramServings per Pouch: 50 / 100 / 500Turkey Tail Mushroom Extract (Trametes versicolor)..
Great for making smoothies and boost your daily coffee Serving Size: 1/2 teaspoon or 1 gramServings per Pouch: 50 / 100 / 500Chaga Extract (Inonotus obliquus)..
Great for making smoothies and boost your daily coffee Serving Size: 1/2 teaspoon or 1 gramServings per Pouch: 50 / 100 / 500 Maitake Mushroom Extract (Grifola frondosa)..
Great for making smoothies, teas and boost your daily coffee Serving Size: 1/2 teaspoon or 1 gramServings per Pouch: 50 / 100 / 500Shiitake Mushroom Extract (Lentinula edodes)..